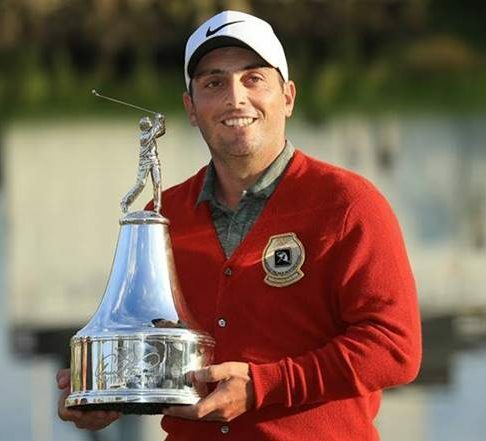 GOLFTV has announced a deal with reigning Open champion Francesco Molinari to produce a range of exclusive content for the live and on-demand video streaming service. GOLFTV subscribers will be able to follow the Italian closer than ever before with behind-the-scenes access at PGA TOUR events. Italy’s first-ever major champion will give GOLFTV an unprecedented view into his tournament preparations and provide exclusive post-round reactions at select PGA TOUR events. GOLFTV will also produce exclusive video instruction series with Molinari, in which the World No. 7 will share insights into the techniques and practice routines that have helped him win 10 worldwide titles (including a major championship) and become the first European player to win five out of five matches in a single Ryder Cup. As part of the arrangement Molinari will sport the GOLFTV logo on his staff bag at all tournaments. Molinari commented: “I love what Discovery and GOLFTV are aiming to achieve and I’m thrilled to be joining the team on its journey. It’s an exciting time for golf and for me personally, so I’m proud to play a part in their mission to become the digital home of golf around the world. I can’t wait to share my insights, reactions and opinions on GOLFTV. It’s going to be great for the fans to see what I do, and give an insight on my team behind-the-scenes and all the stuff that we do to show up on Thursday morning ready to go and try and win a golf tournament.